As I prepared for the American Heritage Girl National Convention last month, I was surprised to learn how many people still do not understand what SWAPS are. Hopefully this will help those who are new to the idea of SWAPS. SWAPS is an acronym for “Special Whatchamacallits Affectionately Pinned Somewhere”. In essence they are little craft type items with a pin attached for trading. The history of SWAPS goes back to Native Americans and has long been incorporated into scouting events. My aunt still has a few of the SWAPS she received as a girl years ago. The purpose of SWAPS is to help girls meet each other when attending multi-troop events. A girl can easily walk up to another and say “Hi my name is _________ would you like to SWAP with me?” This can be a great conversation starter. I’ve seen girls talk about how they have the same name, or what a cute SWAP that is, or even where they are from. While troop unity is important, it is also important that girls be able to meet other people. Include your first name and last initial on the back of the SWAP along with your troop number. I prefer to think of them a GIVES, if someone does not have an item to trade you still give them one of yours. Never give away a SWAP that someone else has given you. Yes, adults make SWAPS too! Below is a list of some of the SWAPS we have made. For a complete list see the bottom of the American Heritage Girls tab above. 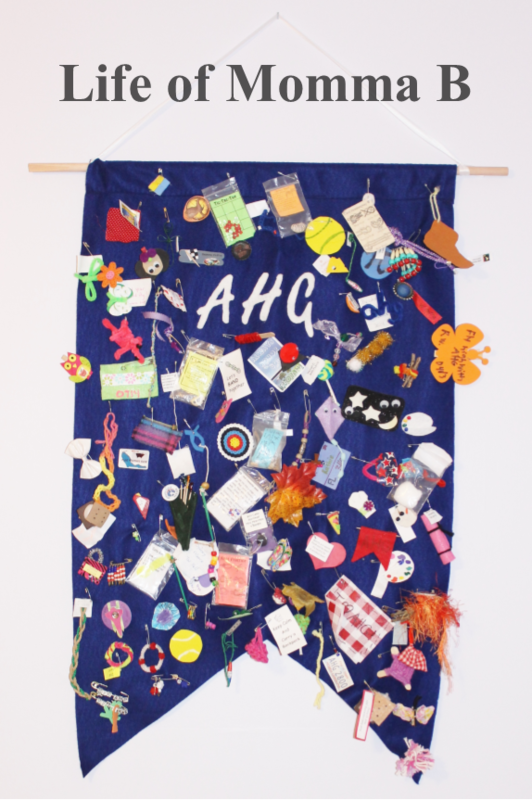 This entry was posted in American Heritage Girls, Crafts and tagged AHG, SWAPS. Bookmark the permalink.